One of our security specialists will be in touch. I locked my keys in my truck on a Saturday morning. Young man came out in about 15 minutes. Had my truck unlocked in about 10. Great job. Great price!! Thanks for getting me out of a tough spot. You can add any of these options to your plan for an additional fee. Our licensed technicians will help find the solution that works best for you. 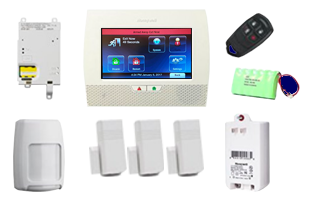 We offer professional security system installation and monitoring services. * The Gold and Platinum plans include a FREE Total Connect App that allows you to control your alarm system from your smartphone or PC computer. Other companies charge as much as $14.50/month for a similar app. * All of our plans include 24/7, year-round monitoring by B & D Security Services with professional security system installation. * Control panels include a self-charging battery backup to keep your system online, even if the electricity goes out. 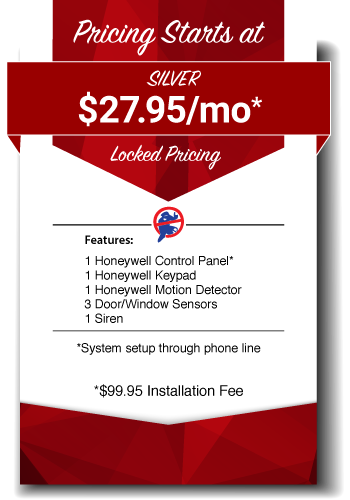 * The brand of choice at B & D is Honeywell. B & D Security Services is locally owned and has been operated by the same owner for the past 26 years. We are dedicated to your satisfaction by providing excellent monitoring solutions and customer service in Lufkin and surrounding areas of East Texas. Whether you're away or at home, we monitor your home 24/7—so you don't have to! 24-Hour Monitoring Agreement required for 36 months on Silver, Gold and Platinum plans. All plans include a 1-Year Warranty for labor and a 2-Year Warranty for equipment. We are dedicated to providing you with great customer service, and keeping your home or business safe from intruders. B & D will not increase your monthly rate, unless you switch from phone line to cellular monitoring. Current prices are good through May 2018. If at any time you wish to cancel your service, there is a standard $150 early termination fee.